Our new range of holiday and new years cards are in the stores now. I hope people like our innovative use of spices. The papers have spices embedded in their fibers. 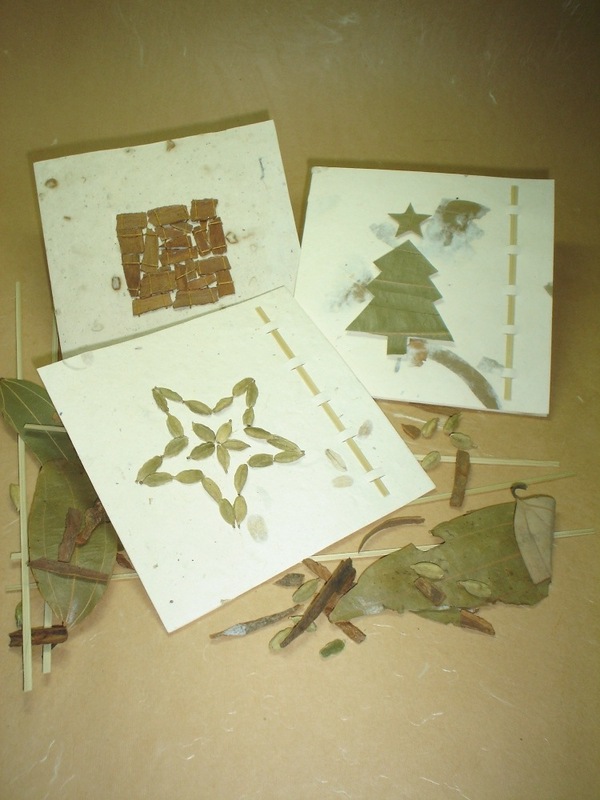 The tree and star motifs are made from spices matching the papers. love the change from Anand’z Creations to Anand Prakash – new look is infinitely more professional looking. I will be writing soon about the Metamorphosis and my experiences. How did you come to know about my work?